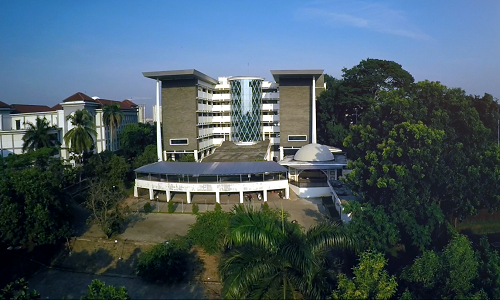 Main Auditorium, UIN News Online – Student of the Dirasat Islamiyah Department, Faculty of Dirasat Islamiyah UIN Jakarta Nadyatul Hikmah Shuhufi receives the Student Achivement Award (SAA) 2018 as a memorizer of Qur’an (30 juz’) from UIN Jakarta. The ceremony was held at the Harun Nasution Auditorium on Monday (12/31/2018), and attended by Rector of UIN Jakarta Prof Dr Dede Rosyada, Vice Rector for Student Affairs Prof Dr Yusron Razak, and a Vice Deans for Student Affairs from all faculties. Besides Nadya, there were 14 other students who received similar awards in the tahfidz category. Awards are also given to students who excel in non-academic fields in various categories, such as volunteering, innovative work, and active participation, both at national and international levels. 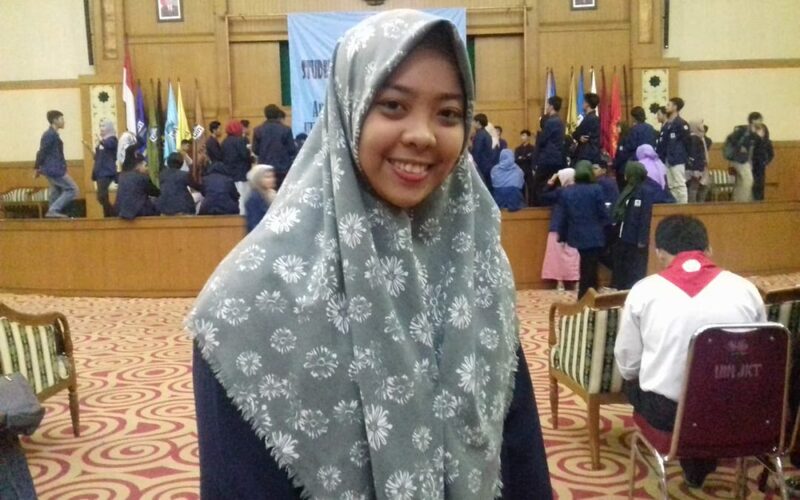 Nadyatul Hikmah Shuhufi was born in Makassar, South Sulawesi, on April 1, 2000. She is the eldest daughter of Muhammad Shuhufi and Fatmawati Hilal. 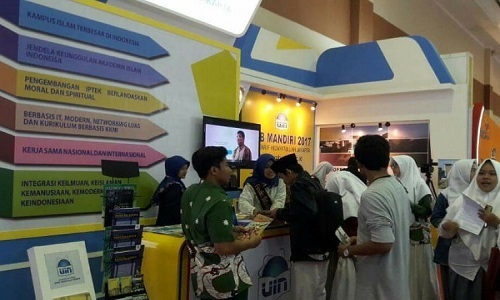 The third semester student admitted that she had learned to memorize the Qur’an at the Islamic Boarding School Darud Da’wah wal Irsyad, Barru Regency, South Sulawesi.